Are your current premises a little bit squeezed? Do you want additional space to help increase productivity and give your team more freedom to get their work done? Are you looking for a youth club premises? If so, why not get in contact with Modular Direct? The team at Modular Direct can highlight the benefits of pre-fabricated buildings and how they can help you improve your organisation and deliver additional space to help you grow. The biggest benefits of pre-fabricated buildings are the speedy construction timeframes. If your site has planning permission, the erection of a portable building could help you find the right space faster than traditional routes. 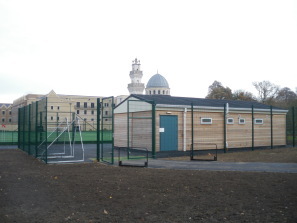 Modular Direct has helped schools, companies, leisure centres and other organisations find increased space whilst saving time and money. If you need a pre fabricated building solution, why not get in contact with Modular Direct who can help you find the right space for the right budget and requirements.